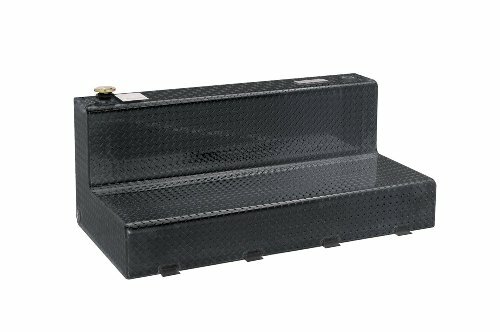 Dee Zee Auxiliary Tanks - A safe and convenient means for transporting non-flammable liquids. 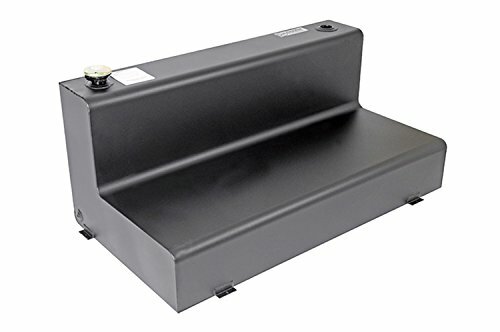 Auxiliary tank can be connected to gravity flow kit to syphon fuel directly into your vehicle's diesel gas tank (sold separately). Constructed of heavy gauge Brite-Tread aluminum. Radius curve design eliminates key weld pressure points. Tanks feature stability baffles, lockable cap, 3/8" drainage plug, and venting coupler. Tanks are intended for private use (non-commercial). Hydrostatically pressure tested to meet Federal Motor Carrier Safety Administration requirements for auxiliary tanks. Meets Federal DOT requirements for UN31B tanks. Connector kits to feed diesel directly into your fuel line sold separately (DZ97960 and DZ97961). 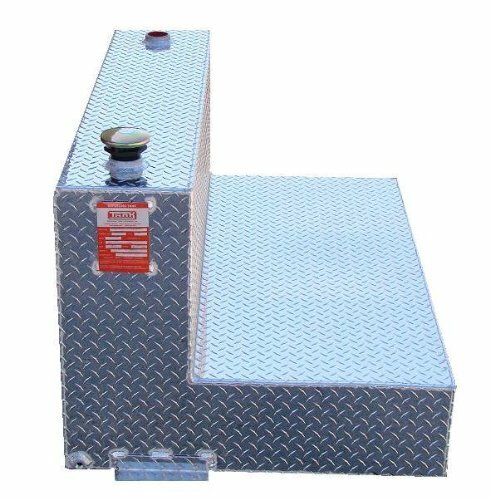 Dee Zee Transfer Tanks - A safe and convenient means for transporting non-flammable liquids. Steel, protected by white NRT (No Rust Tech.) rust inhibitor powder coat finish. Radius curve design eliminates key weld pressure points. Feature stability baffle, lockable cap, 3/8" drainage plug, and venting coupler. Tanks are intended for private use (non-commercial).Not designed for use as an auxiliary fuel system. Not for use with gasoline. Does not meet title 49 of the United Stated Federal Registry. 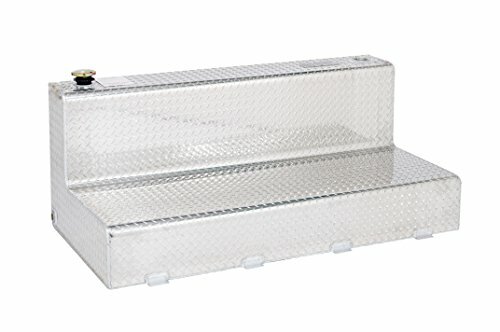 Dee Zee Auxiliary Tanks - A safe and convenient means for transporting non-flammable liquids. 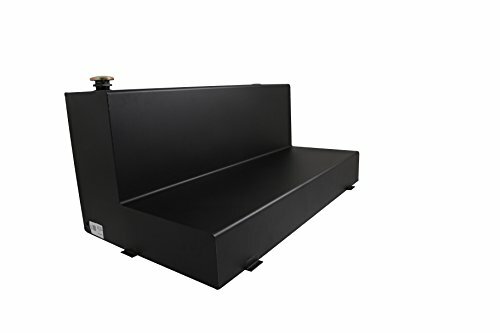 Auxiliary tank can be connected to gravity flow kit to syphon fuel directly into your vehicle's diesel gas tank (sold separately). Constructed of heavy gauge Brite-Tread aluminum. Black powder coat finish. Radius curve design eliminates key weld pressure points. Tanks feature stability baffles, lockable cap, 3/8" drainage plug, and venting coupler. Tanks are intended for private use (non-commercial). Not designed for use as an auxiliary fuel system. Hydrostatically pressure tested to meet Federal Motor Carrier Safety Administration requirements for auxiliary tanks. Meets Federal DOT requirements for UN31B tanks. Connector kits to feed diesel directly into your fuel line sold separately (DZ97960 and DZ97961). 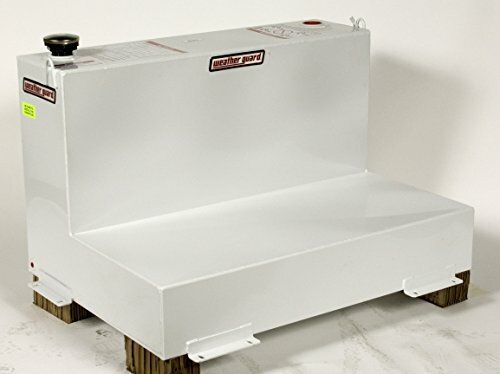 Dee Zee Transfer Tanks - A safe and convenient means for transporting non-flammable liquids. Steel, protected by black NRT (No Rust Tech.) rust inhibitor powder coat finish. Radius curve design eliminates key weld pressure points. Feature stability baffle, lockable cap, 3/8" drainage plug, and venting coupler. Tanks are intended for private use (non-commercial).Not designed for use as an auxiliary fuel system. Not for use with gasoline. Does not meet title 49 of the United Stated Federal Registry. 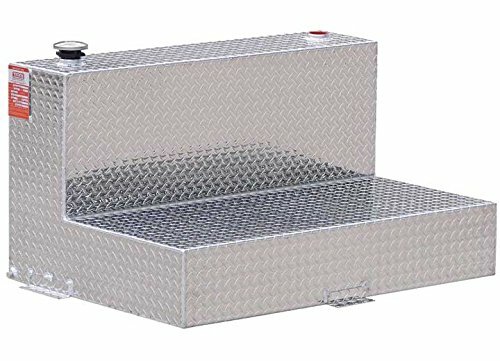 Dee Zee Transfer Tanks - A safe and convenient means for transporting non-flammable liquids. Constructed of Brite-Tread aluminum. Black powder coat finish. Radius curve design eliminates key weld pressure points. Feature 3 stability baffles, lockable cap, 3/8" drainage plug, and venting coupler. Intended for private use (non-commercial).Not designed for use as an auxiliary fuel system. Not for use with gasoline. Does not meet title 49 of the United Stated Federal Registry governing transportation. 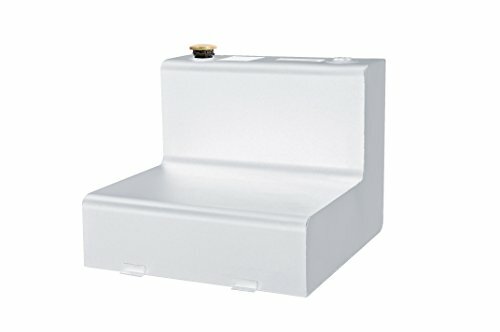 Looking for more L-shape Fuel Tank similar ideas? Try to explore these searches: 5' Heat Shrink Tube, Point Slingback, and 88 Heirloom Finish. This tank hold 36 gallons. The tank and pump was purchased at Tractor Supply.